Allison Transmission, the fully automatic transmissions manufacturer was promoting its products and sponsored the event’s gala dinner, held at Dynamic Earth. 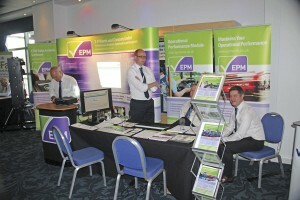 Jim Coleman, UK Area Manager, Patricia Cobbold and Gary Vasey, both OEM Account Managers, attended the conference. Patricia has sat on ALBUM’s Amalgamated Engineering Committee Panel for the past five years. Promoting its range of genuine leather upholstery for bus and coach applications was Andrew Muirhead & Son. 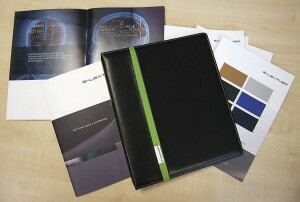 The company’s Venturer product is a UK manufactured, low carbon leather developed for high volume traffic. New lacquer systems have been engineered for it to meet the greater abrasion, flex and colour fastness needs for this sector. It has also been designed to meet the increased demands for perspiration resistance in the bus and coach sector. Autosound showcased its latest technology and was able to talk with leading UK municipal operators about USB charging solutions, on board vehicle wi-fi and the latest version of its Easyguide citybus in-vehicle passenger information system that plays multimedia triggered by GPS. It is available as a single or multi-language device, with or without a passenger display screen. BAE Systems was promoting the fact that RATP has just announced a three-year procurement arrangement for its Paris operation calling for around 1,000 two-axle buses, the majority of them hybrid. Split into four sections, of which Iveco has won two, sister company Heuliez has won one and MAN has won one, it means that BAE, which works with Iveco and Heuliez, might potentially supply in excess of 500 units. It had previously supplied 80 articulated hybrids to RATP in Paris. It has also won contracts to supply six tri-axle ADL Enviro500H hybrid double deckers to customers in Hong Kong. By the year end BAE will have 730 buses running with its systems in the UK. Although there will be no Green Bus Fund 5, the company is hopeful that there will be support forthcoming from OLEV, the Office for Low Emission Vehicles, which has £500m to spend over the next five years, some of which is earmarked for buses. 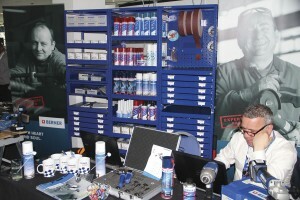 A huge range of items were shown on the stand, among them two useful sprays. Designed to solve water ingress problems, Lubricone can be sprayed in any electrical connection to stop water getting in. Respraying at each service is recommended. The cost is £7.95 per 500ml can, the same price charged for the company’s fuel injector loosener spray which freezes the build up around the injector seat and enables its removal. This can has an ingenious pealable label enabling the user to read full details of the product and then smooth the label back into place. Dominating the stand was the Berna Bera stock organisation system. Optionally lockable, it enables all consumables to be kept to hand in one place. Blackburn based Bus and Coach World really went to town on their presence, preparing their main exhibit, a refurbished 2003 East Lancs bodied DAF DB250 that had been new to Isle of Man Transport to a very high standard. Externally it carried the Scottish Saltire flag and the blue theme was continued in the interior with the cove panels adorned in vinyls depicting Scottish scenes. The vinyls were produced by McKenna Brothers, who also supplied the Mobitec destination equipment. All of this effort was purely in support of the ALBUM event because the bus has been sold to Sanders of Holt and will now be re-liveried in their orange colours. This ALBUM was the last for the great name of Holdsworth which is being phased out over the next six months in favour of the parent Camira title to build ‘a global textile brand with a single name and a strong cohesive identity.’ The latest product being promoted was the Dimension range made from lightweight recycled polyester that is available in 12 designs, 47 colourways and 564 fabric options. Three different manufacturers have already adopted the product which is unusually swift take up for a new range. Further new ranges are under development for launch later in the year. 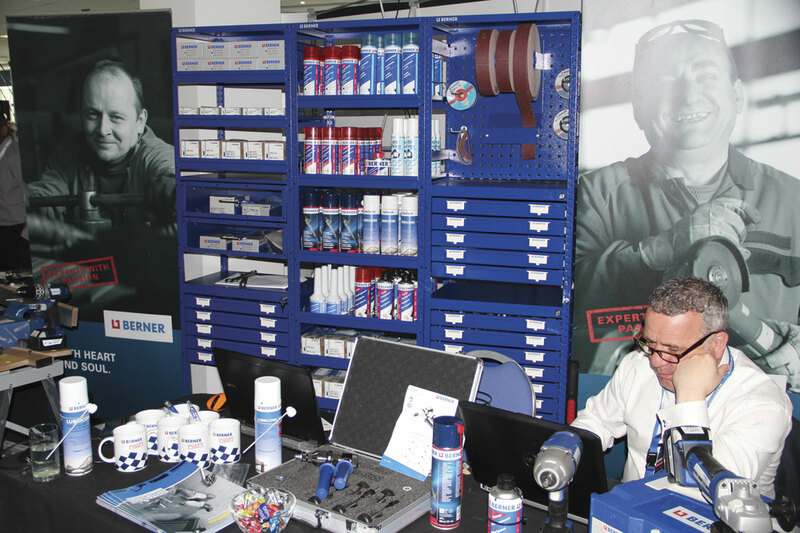 Reorganisation of Cummins’ Aftermarket Support system, handling service, parts, exchange engines and consumables, means that there are now eight separate areas, each covered by an Aftermarket Support Representative. Scotland is the domain of Bill Logan, Andy Packwood covers the North West, Chris Britner the North and Central East region, Neil Taylor the Central West, Terry Hunt the South East, Francois Herman the South Central, the South West is handled by Stewart Wilkinson and Martin McGowan looks after Ireland. Demonstrated on the stand were examples of seats for Arriva and First trimmed in e-leather. The company launched a new designer pack, which features examples of all the materials it carries in stock, demonstrating the different textures and grains it provides. It also includes some case studies, showing what other operators are doing with their vehicles. Industry auditing specialist, EP Morris (EPM) was promoting a new software solution it has recently developed for ALBUM Conference hosts, Lothian Bus. The integrated system brings together revenue, driver and vehicle data, enabling the operator to move towards a paperless office. Using the software, vehicle issues can be logged by drivers and engineers will be alerted via e-mail, allowing them to react to the problem sooner, which effectively leads to better customer service. It can even be used to manage customer contact, enabling complaints and comments to be logged. Grayson Thermal Systems exhibited its two fan electric cooling system, as well as other complimentary products such as silicone hoses, a demister blower and a heater matrix. For the heating and air conditioning specialist, the show was an opportunity to network within the industry, meeting familiar and new faces, as well as supporting Lothian Bus, which it has a 20 year relationship with, supplying them cooling and HVAC systems. Its Sales Manager in Scotland, Bobby Taylor, came first during the golf day on Monday, as well as achieving the longest drive. Bobby’s luck was in, as he also won the raffle at the Gala Dinner. 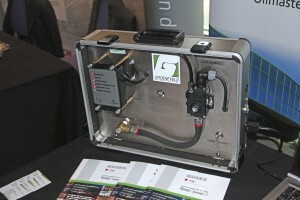 Making its debut was the new Fluidmaster system, the development of which was prompted by ADL. Groeneveld already produces the Oilmaster, which monitors and replenishes oil levels; Fluidmaster looks after not only the engine oil but also AdBlue, screenwash, power steering fluids, fan drive fluid and engine coolant. You can specify what you want to monitor so, for instance, on a coach you could also monitor the water supply to the toilet. Thanks to the development of non-invasive sensors, the system can read through the tank material to identify the liquid level within. So new is the system that a brochure for it has yet to be produced. Although there was nothing particularly new on the stand, Nick Robinson reported that operators seemed most interested in the company’s standard LED signs. Examples of Hanover products were to be seen on the ADL and Mercedes-Benz buses displayed outside. Gaining a lot of interest on Hants and Dorset Trim’s stand was a retrofittable USB socket for passengers’ lap tops, phones and other electrical devices. The illuminated component fits in between the back rest of the seats. 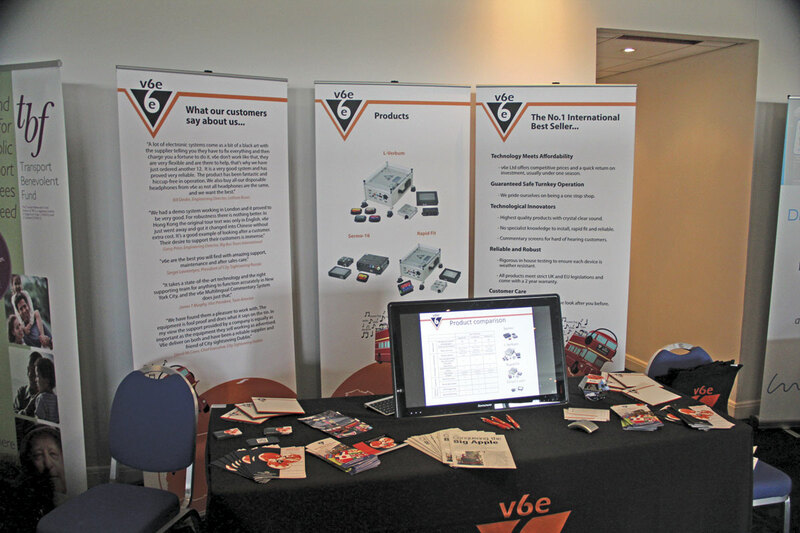 Representatives from the company were on hand to provide information on the company’s other services. Visitors to INIT’s stand would have seen a live example of the company’s Mobile ITCS fleet management system tracking vehicles’ whereabouts in real time. There were a number of other applications on the transport technology solutions provider’s stand, including two versions of its EvendPC electronic ticketing machines and its back office fare management package, MOBILEvario. Examples of Martyn Industrial’s Tarabus flooring were on display. The floor coverings are engineered for slip and abrasion resistance, easy maintenance and sound proofing, as well as ease of installation. The product can be supplied in roll or kit form. It was fitted on vehicles displayed by ADL, Wrightbus, Volvo and Mercedes-Benz at the conference. MiX Telematics was promoting its new generation MiX Fleet Manager. The system forms a key element in the MiX Telematics’ Software-as-a-Service (SaaS) delivery model. It features a powerful, latest-generation onboard computer developed from the company’s FM solution. Data captured by the computer is relayed to DynaMiX, a new online software and reporting suite designed to be clear, intuitive and simple to use across all internet enabled computer, smartphone and tablet platforms. The team from PCV software specialist, Omnibus, were on hand to take visitors through its latest developments. The company has most recently been working on its crew scheduling software, CrewPLAN. The changes follow some recent developments to the system to increase duty types and multi-depot working. Highlight of the Q-Straint stand was the new Quantum fully automatic wheelchair securement system, which can be quietly deployed in under 25 seconds by the press of a button, without the help of the driver. Quantum is expected to be on field test with operators by June/July and on commercial sale by the end of the year, although the company was not yet in a position to say what the price would be. Ticketer’s latest launch was the HH200 hand held ticket machine which operates in an identical fashion to the company’s ETM-L large and ETM-S small ticket machines. 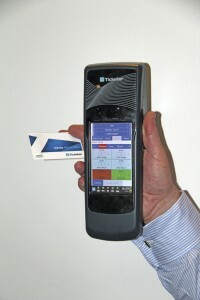 The HH200 incorporates an ITSO card reader and is EMV capable. John Clarfelt explained that the unit has full mobile communication, including tracking. Crucially, it also provides a schedule adherence facility that tells a driver whether he is running early or late with a countdown that lets him know when to leave. Over 200 operators have started using Ticketer equipment in the three years since the company started, among the latest being Rosso (Rossendale), which will be delivered in May and the Isle of Man who are having their systems installed this summer. An interesting device on Timespace Technology’s stand was its latest edition of LANlink software, its depot CCTV management package. Free to Timespace customers, the solution is wi-fi based and automatically downloads CCTV footage each time a bus or coach enters the depot. It runs off the site’s existing wi-fi network. The company was also displaying its V400 recorder, which is now being widely installed in depots across the country, according to the company. Nominations for the 19 categories within the 2014 UK Bus Awards close on 6 June, with the shortlist scheduled to take place in London on Thursday 9 October. The high profile presentation ceremony will be held at the London Hilton Hotel on Park Lane on Tuesday 18 November. Ian Fountain from Uniform Express was showing a variety of garments from a new range currently on wearer trials with Reading Buses. Examples displayed included: a wickable (sweat preventing) polo shirt with a structured collar and branding front and back, cargo-style workwear trousers, a baseball cap, and both a lightweight summer jacket and a heavier jacket. New product developments include lightweight cargo trousers with a comfort waistband in navy and the company’s own brand of soft shell jacket in navy or black. Specialists in multilingual sound systems, v6e supply tough waterproof equipment that can provide simultaneous commentary in up to 24 different languages. The L-verbum system can be seat mounted or, alternatively, there is a Rapid fit double seat variation that can be mounted on a rail on the bodyside, enabling a decker to be equipped in a single day. It can be equipped with GPS triggering that automatically plays the commentary at the right spot, even if the vehicle is diverted by roadworks. A lower cost option is the Sermo-16 system for up to 16 languages. Volant is already known for its ATF facility and for undertaking refurbishments of vehicles. In January it took over Greengate Fabrications of Braintree in Essex and that has now been renamed Jadecraft. The operation produces replacement panels and metal products including skirts, engine doors, front and rear panels and vehicle lining kits. In addition to the main Volvo Bus display, Volvo Truck & Bus Centre North & Scotland took a separate stand to promote their Frontline Support using a fleet of Transit vans equipped with all the equipment to diagnose and repair electrical and mechanical faults on Volvos and all other types of bus and coach. On of these vans was displayed in the demonstration park. The company has depots at Aberdeen, Edinburgh, Glasgow West and Perth in Scotland and Teesside and Washington in England.